The battery in your vehicle provides the charge that starts your engine, in addition to storing energy for the ignition system, fuel system, and electrical components (e.g. lights and wipers). Since your Audi or Porsche operates on complex electrical systems, it is critical for your battery and associated electrical components to work flawlessly. To ensure that your vehicle functions properly, schedule a Porsche or Audi Battery Service with a certified technician at Prestige Imports. A car battery typically lasts three to five years, but its lifespan depends upon your driving habits, weather conditions, and a variety of other factors. Extreme heat and cold can shorten the life of your vehicle’s battery; and, while very rare, your battery can freeze in extremely cold temperatures. Additionally, if your vehicle is sitting unused for extended periods of time, the battery will slowly drain. In this circumstance we would recommend reading through our Top Ten Tips for Winter Storage, as well as our article on Winter Trickle Charging Using a Battery Maintainer. If you find yourself in a situation where your vehicle requires a jump, you do not necessarily need a new battery. 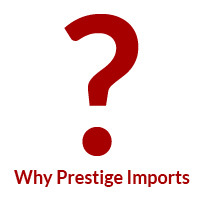 We do recommend that you bring your vehicle to Prestige Imports’ Parts and Service Department for a Porsche or Audi Battery Service check, to guarantee there are no major issues. The tests we run ensure that your battery emits the proper level of power for which they were designed. With that said, you may need a new battery if you notice that your headlights are dimmer, especially during and immediately after ignition. Likewise, your battery may lack the necessary power if your horn sounds weaker than normal. Finally, if your engine cranks more slowly, cranks but won’t start, or won’t crank at all, you may be in need of a new battery. Of course, while the most common issue with a vehicle that won’t start (and, luckily, the easiest to fix) is battery-related, it may not be the only component responsible for the problem. 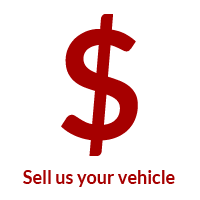 As such, we advise that you have your vehicle diagnosed before unnecessarily investing in a new battery. It’s also good practice to have us check your battery before a long road trip. It’s a quick and easy way to have peace of mind. 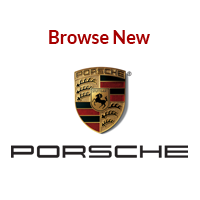 Using a Midtronic system to test both the battery and the charging system, Prestige Imports’ Audi and Porsche factory trained technicians can test your vehicle’s battery, replace it if necessary, and get you back on the road quickly. A battery check is a complimentary service. 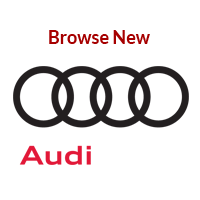 Simply schedule an appointment with your Audi or Porsche Service Advisor. 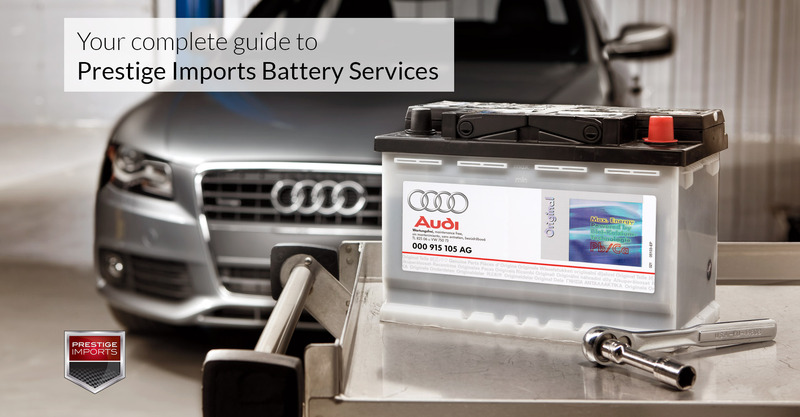 Tip: For Audi vehicles the battery that originally came in your vehicle is covered by the factory warranty of 4 years/50,000 miles (whichever occurs first). Just another reason to consider the professionals at Prestige Imports to diagnose your battery concerns. Coverage: Replacement batteries distributed by Audi and installed under warranty by an authorized Audi dealer Sep 1, 2012 and forward are covered for defects in material or workmanship for parts and labor within the remainder of the NVLW (or 24 month/unlimited mileage), whichever is greater; then the battery is prorated for parts only up to 60 months.